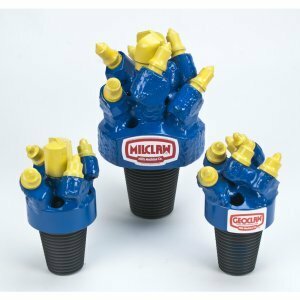 Claw Hole Openers – Mills Machine Company Inc.
Mills Machine manufactures a full line of rotary claw bits that include many variations of the original design. 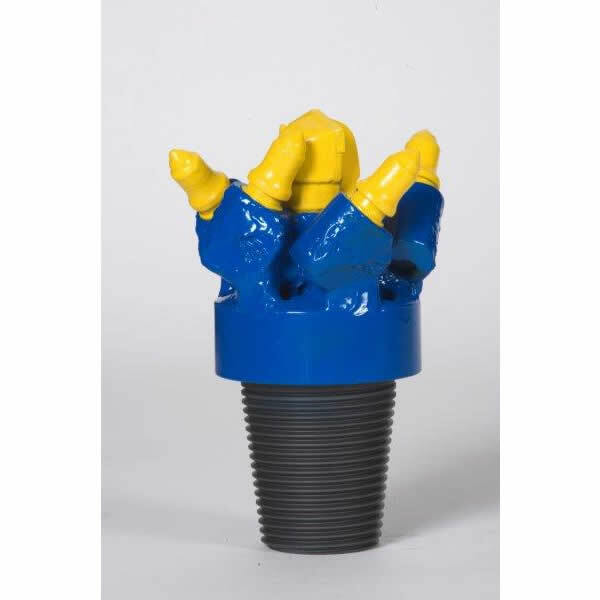 One of the popular options is the claw reamer or hole opener. 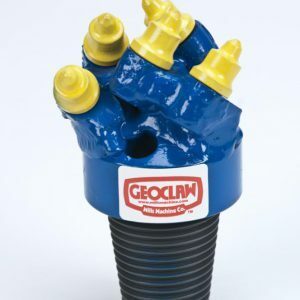 Like our KENCLAW® line of bits, these bits will work in clay to medium shale rock (up to 6000 psi rock). Carbide cutters rotate in their block to promote a self sharpening action and reduce torque on the drill string. These cutters are inexpensive and easily replaced in the field. These hole openers will cut as fast as a drag bit while at the same time they are as tough as a soft to medium formation rock bit. 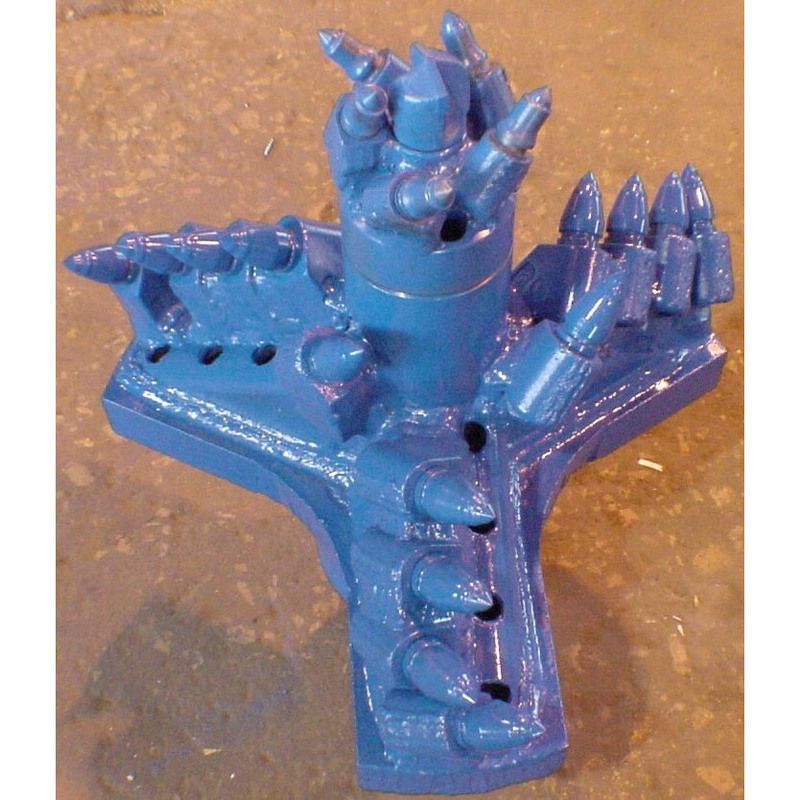 They are suitable for either air or fluid drilling. The claw hole openers can be used with either rock bits as a pilot or with the Mills KENCLAW® or MILCLAW®. Versatility lies within our ability to manufacture in single, double or multi-stage versions to offer the best product for your individual needs. These tough, high-quality units are designed for long life. All edges exposed to wear are hard surfaced with tungsten carbide material. 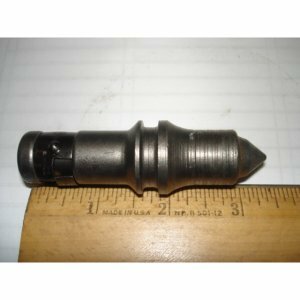 The threaded tool joints and bodies are made from 4142 heat treated alloy steel. Each hole opener is individually designed and manufactured for your specific application.